Hi Everyone! We're getting ready to celebrate the release of our latest novel in the Sophie Kimball Mysteries, set in Sun City West, Arizona. 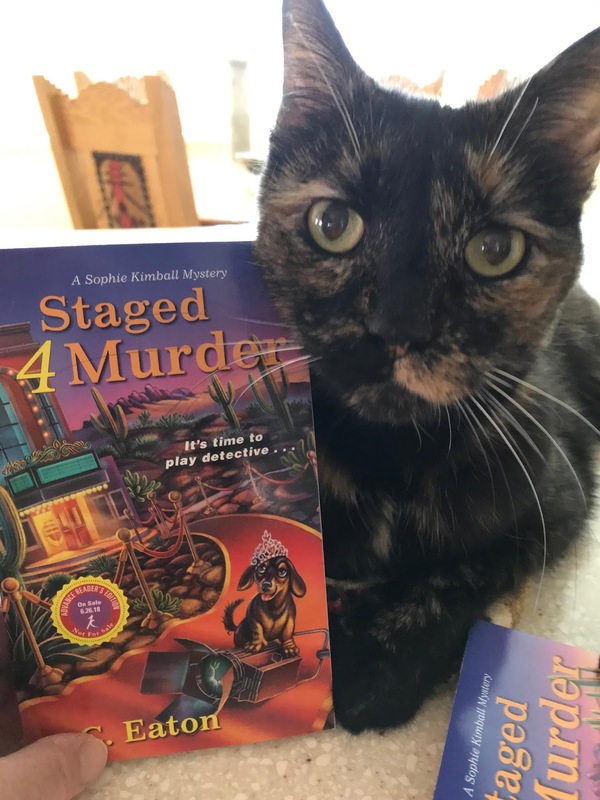 STAGED 4 MURDER makes its debut on June 26, 2018, although pre-orders are happening right now. We've got a terrific release party in Sun City West at 11:00 A.M. at the Social Hall on RH Johnson Blvd. 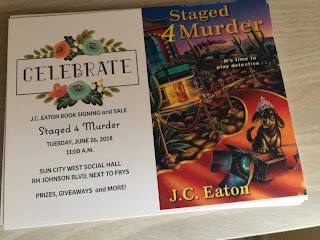 It's sponsored by our library and Barnes & Noble will be running our book signing. In addition, we'll have lots of fun giveaways and prizes! If you're in the area, please stop by and bring friends! The book is available in paperback, Kindle and Nook.